So, I have had to do literally no work all semester and just as I was getting all complacent and ready to return to leafy Surrey for the yuletide period Monsieur Manchester has come and kicked me dans the proverbial balls. I got an essay for Monday which I am dreading. Footnoting, referencing and all the jazz that comes with it, I can't be bovved. Who cares what the core elements of liberal thinking in international politics are. 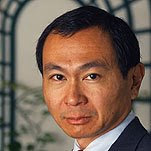 Well, Francis Fukuyama does but let's not get any 'End of History' chat going down. This is neither the time nor the place. In additionata, Manchester is fricking freezing at the moment. I'm mulling over lodging a formal complaint to the Met Office, or to the Gulf Stream, I havn't decided which yet. Maybe I will write both, or maybe organise march. 'The Say No To Rain Campaign' or 'I'm Too Old For Cold'. If we get enough people we could get radiators installed on every street light or something. Imagine that.